Today, Mars in 2nd house. So, 1st of all, 2nd house is house of speech and Mars represents Aggression/Anger, so it can give ill-speech to someone in times of anger. Someone may speak lots of foul-words in anger. As 2nd house also represents the food you like to eat, Mars here shows that you like to eat non-vegetarian food more, as Mars represents violent activities. This is also house of Family and Mars is aggression, so this person's family environment may be full of aggression. It also shows that someone is able to gain wealth out of real-estate or lands. .
From 2nd house, Mars aspects the 5th house of education and Mars brings its energy in education. So, these people are very energetic or goal oriented towards their education. Obviously, they can be very much involved in sports too. 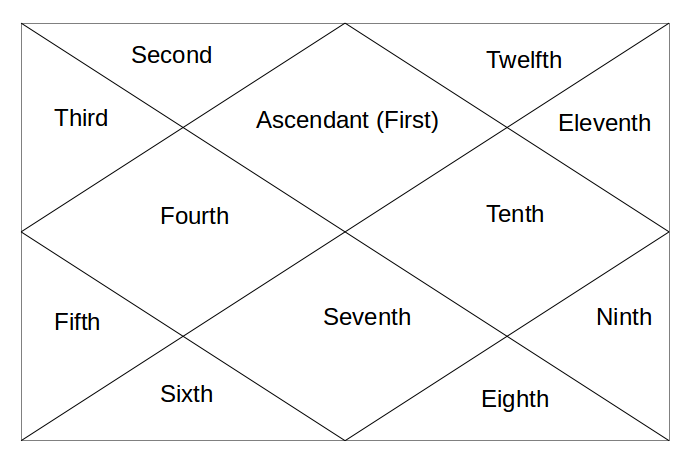 Mars next aspect goes into 8th house of occult, mysticism, in-laws and sudden events etc. So, Mars may give this person strength to face sudden changes in life. It can also give great ability to research into occult and mysticism to learn it. It may give aggressive relation with in-laws. Mars next aspect goes into 9th house of religion and philosophy etc. It can make them fundamentalist about their own religion or they can have fluctuating interests in higher learning or religion. Tomorrow - Mars in 3rd house.